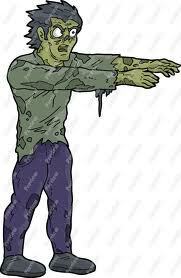 On Thursday “Halloween” night, October 31, it is feared that downtown Jensen Beach will be invaded by Zombies! Yes, Zombies, young and old, are expected to invade downtown Jensen Beach during the Jammin’ Jensen event from 6:00 PM to 9:00 PM. Jammin Jensen is a downtown Jensen Beach event held every Thursday evening to raise funds for downtown Jensen Beach beautification. All Zombies who invade Jammin Jensen will be judged on the best Zombie costume, the best Zombie make-up and the best Zombie walk. Three winners will be chosen and will receive VIP tickets to the upcoming Jensen Beach Pineapple Festival. There is no registration fee. For additional information call the Jensen Beach Chamber of Commerce 772-334-3444. Jammin Jensen, the Zombie Invasion and the Jensen Beach Pineapple Festival are Jensen Beach Chamber of Commerce events.